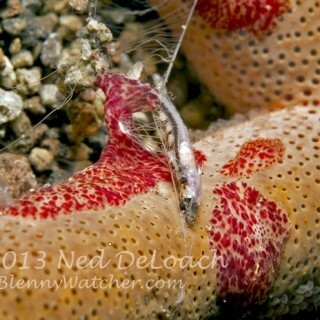 A pinhead sized algae shrimp - this is why we keep returning to Lembeh! 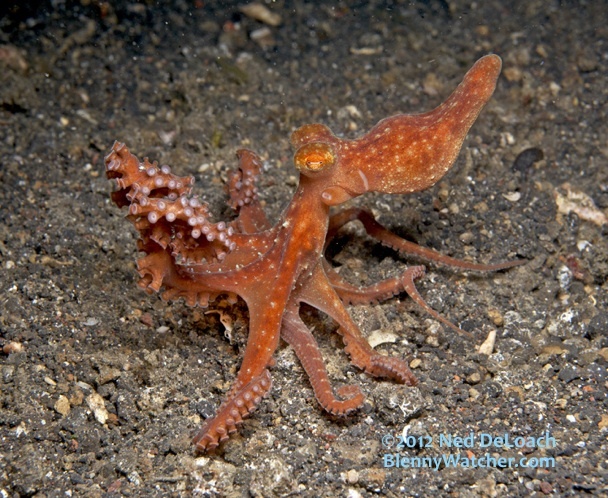 Two years ago, we were invited by Eco Divers Resort Lembeh to bring our Fish & Critter Hunt program to Lembeh Strait. For the past ten years, we have been conducting a Fish & Critter Hunt in Bonaire, during the month of September at Buddy Dive Resort. Ned gives his talks and slide shows about marine life reproduction, symbiosis, cephalopod behavior and we give the groups a goal for the week. 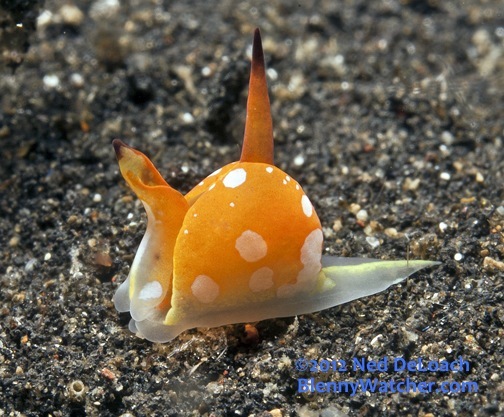 The goal here is 30 of Lembeh’s most sought after fish and invertebrates. The “thrill of the hunt” motivates everyone and we have loads of fun in the process. 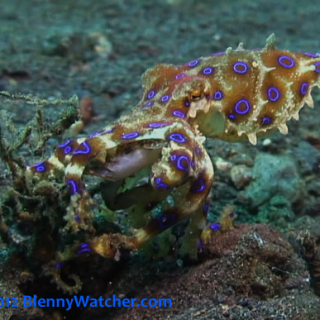 And during week 1, the Octopus Army took time out from the hunt to work on another episode of Blenny Week, so stay tuned for that. 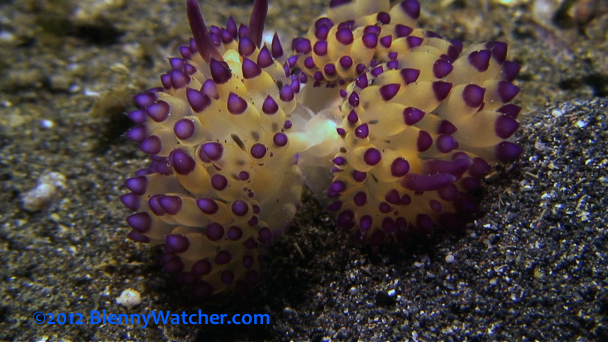 Above is a frame grab from my video of a Melibe nudibranch. Although we have seen them here many times, this is the first time I captured video looking beneath the oral hood (veil) as it feeds. The oral tentacles are really cool. A siphopteron - only 1/8 inch long! Ned is on a siphopteron kick and spends the last half of most dives up in the shallows hunting for these 1/8 inch creatures. A Starry Night Octopus - one of our favorites. 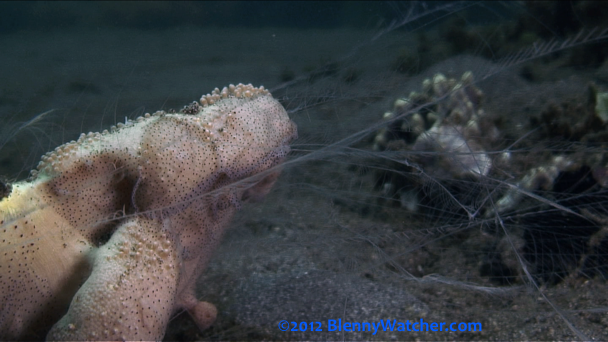 The night dives were great; we saw several Starry Night octopus – one of our favorites. 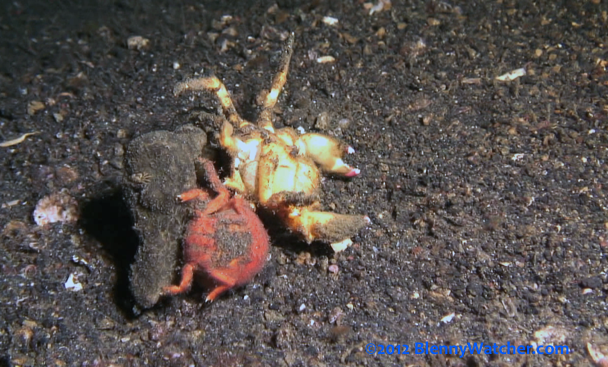 During a night dive we happened upon a home eviction. A small Red Spotted sponge crab pushed a larger yellow one out of its sponge and walked off with it, leaving the poor yellow crab looking a bit forlorn. The sponge didn’t look like much to fight over but on the fairly barren sand plain, I guess any shelter is good. 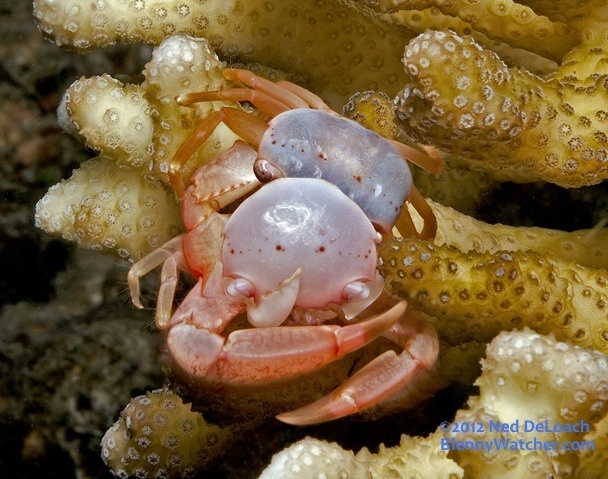 And Ned was in the right place at the right time to capture this tiny crab as it was molting. He has the whole sequence that we’ll try to include when we write up the trip at marinelifeblog.com. 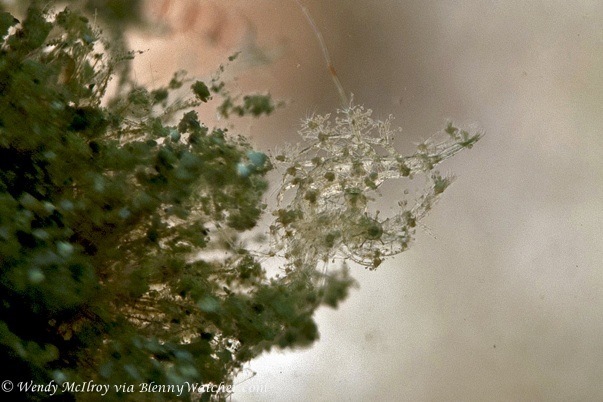 Of course this isn't complete without ctenophores! 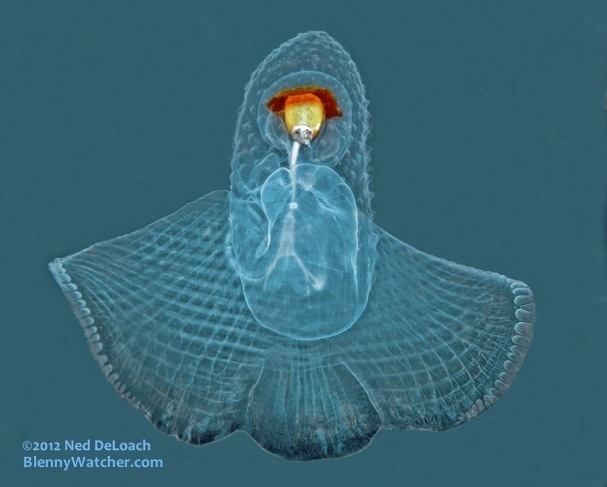 Since I learned about them two months ago, I am constantly on the hunt for benthic ctenophores. 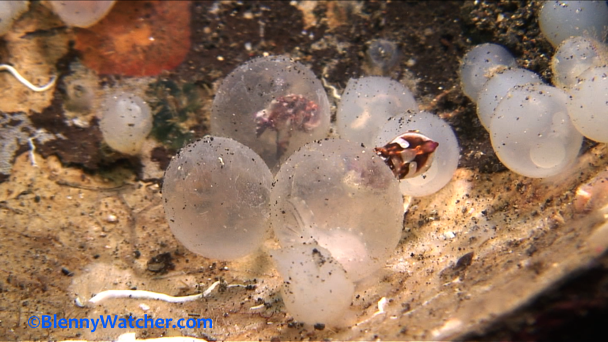 These pinkish ones, with their feeding tentacles out, are particularly beautiful. 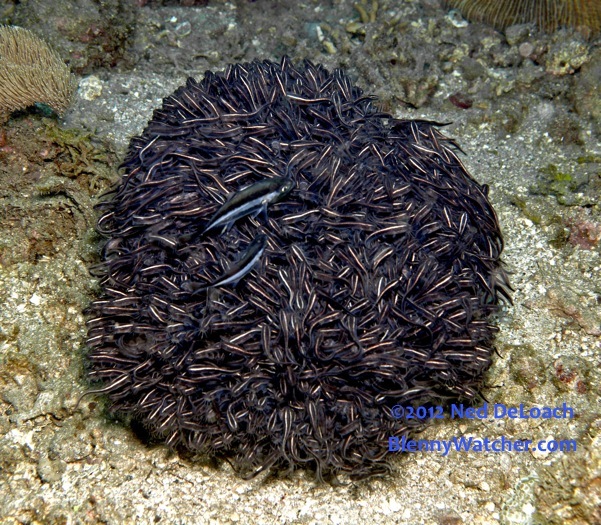 We saw many nudibranchs but my favorites were the mating Janolus. 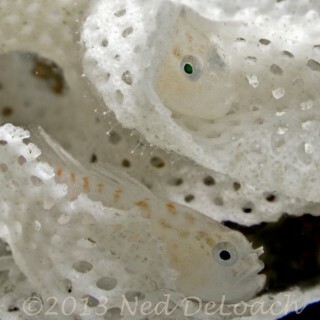 Six years ago I shot Flamboyant Cuttlefish hatching. It took two weeks of diving the same site every day to get the shot. This time, I turned over a coconut shell to see what was underneath and these eggs started hatching within seconds. Best of all, some of our group were with me and got to see it. 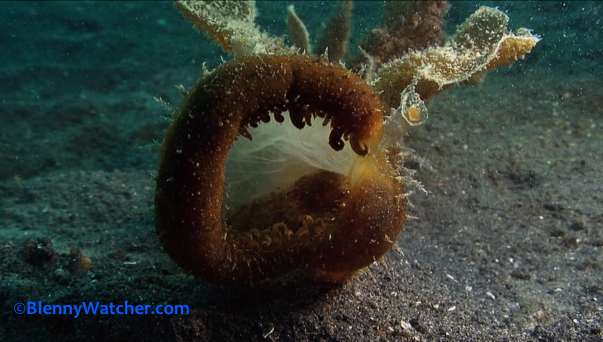 I just realized that I only posted images of invertebrates – will cover fish next post (and will load the video next week).